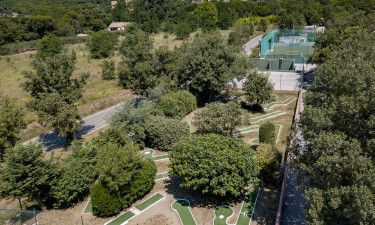 Set in the stunning Côte d’Azur region of France, Parc Saint-James Parc Montana offers families an excellent range of facilities and amenities. Staying in style is as simple as a few clicks when you book Parc Saint-James Parc Montana through LuxCamp. 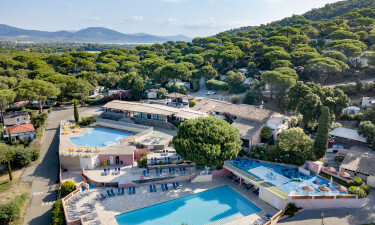 Taking a day trip to explore Saint Tropez is an experience that cannot be missed, and the staff at Parc Saint-James Parc Montana offer special trips. There are also dozens of stunning stretches of sand and tiny islands to explore. Why choose Camping Parc Saint-James Parc Montana? A large, outdoor swimming pool complex can be found at the heart of this luxury camping site and this is a great place to keep cool, while it is also set with sun loungers for those who want to soak up the sun. In addition to swimming, guests can take part in other aquatic activities here, such as water aerobics. Guests can take a short stroll from their mobile home to a long and wide stretch of sand. The beach is lapped by cool, clear water that is sure to appeal to guests who want to take part in water sports, such as windsailing, during their camping holiday.